Start the year off with a new technique. Classes are resuming later this month after a few weeks break. If there is something that you would like to learn, please let us know and we will try to schedule it for you. 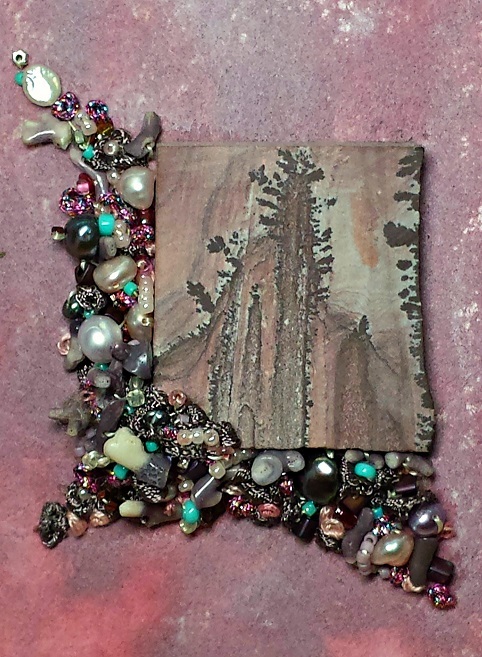 Strengthen your creative confidence and demystify the challenge of intuitive beading! The outcome of the three part workshop will be a small beaded piece that you can turn into a brooch or put it in a frame. “What is intuitive beading?” you ask. It is working without a pattern sometimes even without a plan. It is a spontaneous approach to beading – one lets one’s instinct guide them. Some describe it as “working from your heart rather than from your head”. We have some “tricks” we think will help you shed some of the constraints you may feel. Cost $125.00 – includes most supplies although you might want to supplement from your stash after the discussion on the first day. You might have a special bead, a sentimental piece of jewellery that is broken, a unique button, a cabochon, a shell. Bring them in and we will see how to incorporate them. 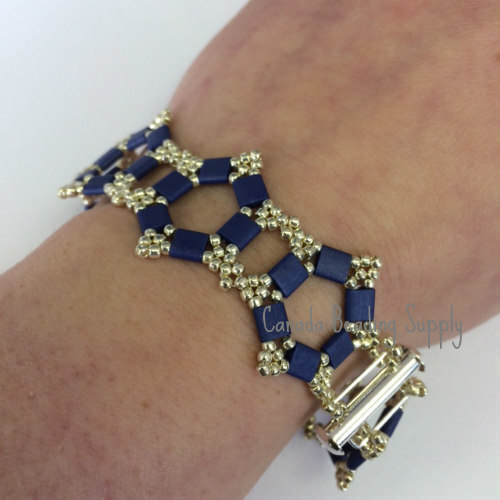 Tila Star Bracelet - Create a star pattern bracelet using Tila beads and 11/0 seed beads. A pair of earrings can be made to match the set. Cost: $250 plus a small kit fee payable to the instructor. 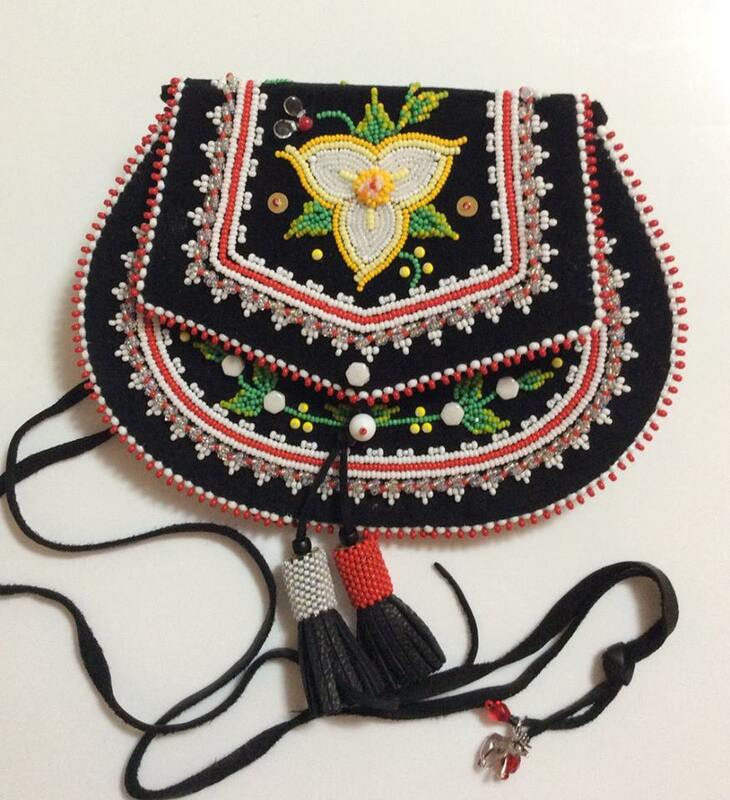 In this workshop you will learn the raised beadwork technique to begin making and assembling a purse. This course is labour intensive and might not be completed by all students. All techniques will be shown to ensure everyone knows how to complete the project. Students will make a version of this purse in the photograph. We will update the photo when we have a current picture of the actual project. Actual purse made in the workshop will have less detail so students have a chance to complete the project. Cost: $150 plus a $15 kit fee payable to the instructor. 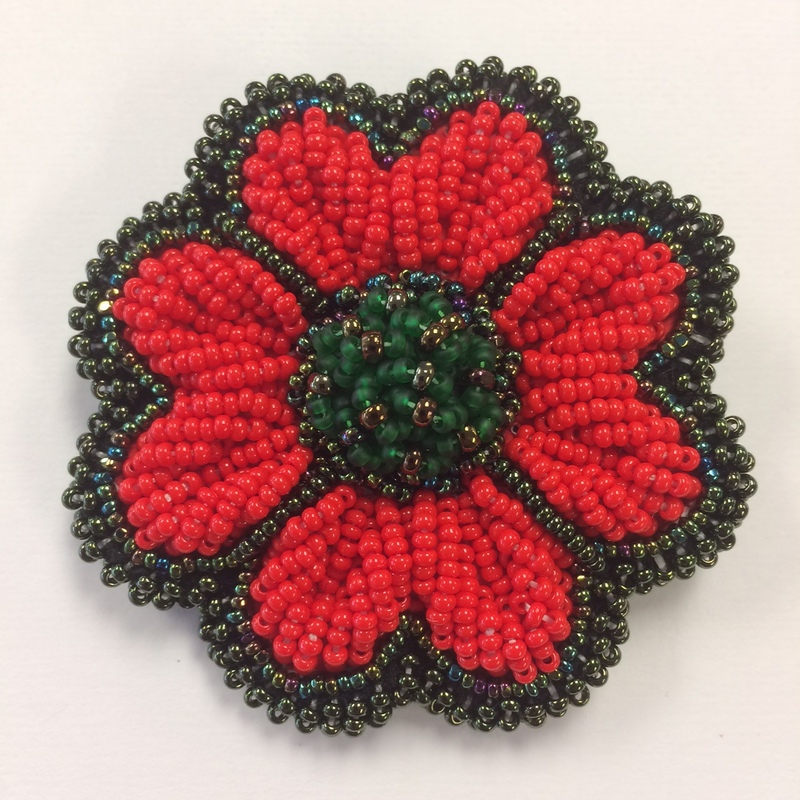 In this workshop you will learn the raised beadwork technique to make a Beaded Poppy which will be made into a brooch. You will learn how the Native Strawberry emery is reborn as modern and functional form using traditional materials and embossed beading techniques and spot applique. Keep up to date with new products before the newsletters come out and get notifications of special promotions.